I have several one or two skein sets of variegated yarn that I'm not quite sure how to use. I know I can always do socks, but I am pretty much done with socks for a while. When it comes to heavily patterned things, like shawls, I don't often like how a lace or garter distort the colorway. And right now everything seems to be about lace and garter. Then I saw Lee Meredith's Orri Shawl. This was a lace and garter pattern I could use my precious variegated skeins on, without my eyes involuntarily crossing as I worked. 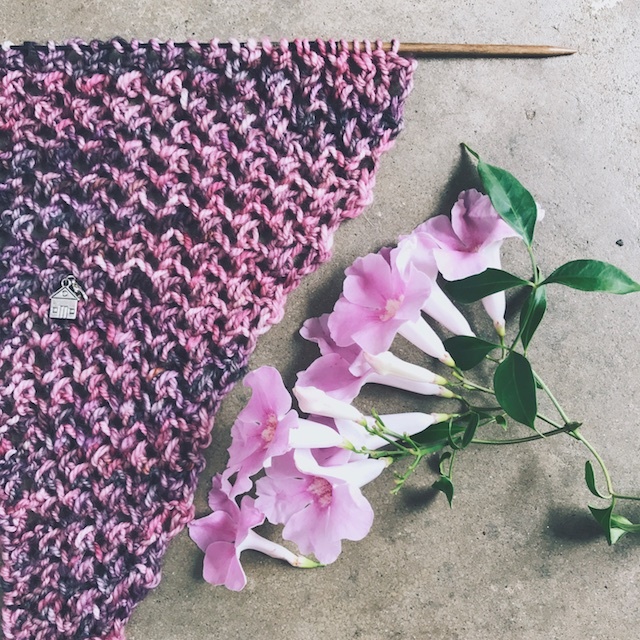 The lace is a fairly simple stitch pattern that doesn't look too crazy in multi-colors and it has a solid colored garter section to further tone it down. Balance, my friends. So, I dug up my skeins of fischer dk from Lovebird Lane Yarns, in the One Sweet Love colorway, and got busy. 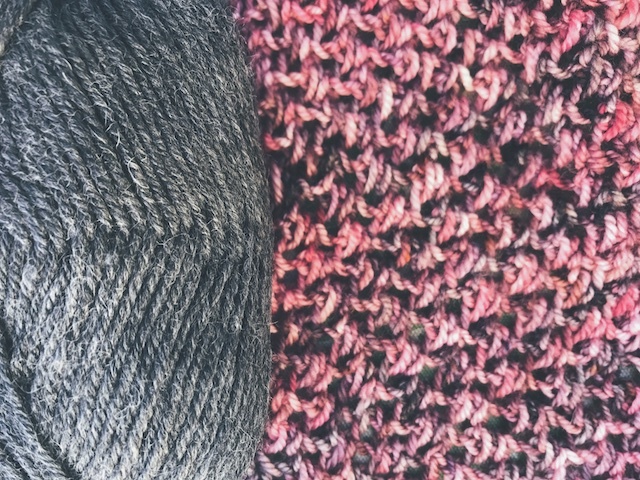 I considered using another semi-variegated grey, Gynx Yarn's Texas Tornado, as the contrasting color, but it was too variegated and had yellow undertones that didn't look right when paired with the cool pinks of my main color. Even if it had looked nice together, it would defeat the purpose of subduing the variegated colorway with a solid. 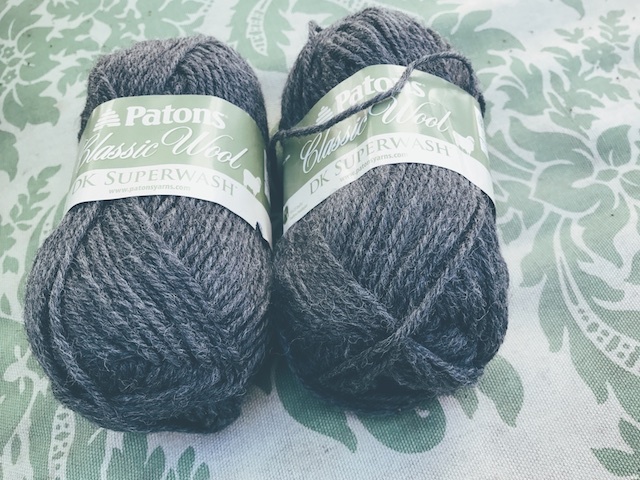 In the end, I just ordered some inexpensive Patons Classic Wool, in Dark Grey Heather, during a Joann sale. I think they look nice together. 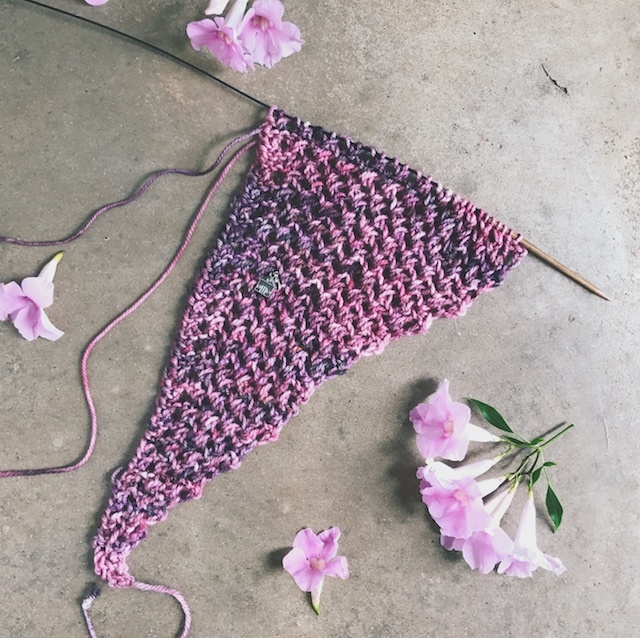 Orri has a fun lace pattern that balances interest and need for focus. I worked on it a bit at the movies, but Guardians of the Galaxy 2 was good enough that I ended up setting it down. I do think I could have made a dent in it without mistakes, though. It also knits up fast. 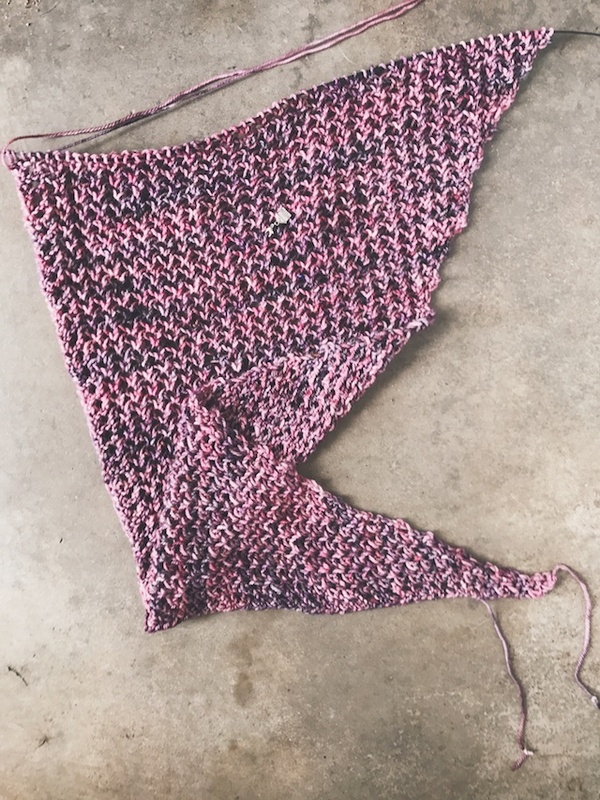 I will soon be finished with the largest portion knit in the pink even though I'm only working on it occasionally. Variegated colorways like this always seemed so out of my league when I first started knitting. All of those terms like, well, variegated and semi-solid and Tosh and Malabrigo, floated around Ravelry and were Greek to me. I knew only Patons and Lion Brand Wool-Ease at the time. So, I'm excited to have some of these mighty colorful yarns in my stash. I'm just not quite sure what I'd like to use them for. Again, no socks right now. One of my only garments to knit in variegated yarn was Ease, which was a true variegated. Then there was Reindeer, which is in variegated malabrigo but more subdued. Both of these worked because the designs were a clean, simple style. I never loved the color of the Ease, though- I just got the Cascade on sale and it was the least busiest colorway. It still feels a little too busy for me, even though the finished sweater is super comfortable and great for doing things outdoors. 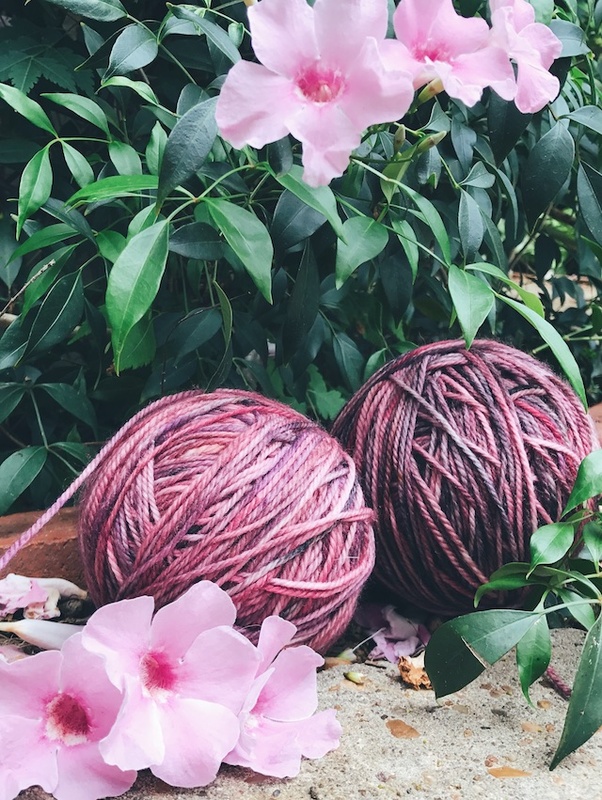 So, do you guys use heavily variegated yarns for lace pieces, or garments with a lot of texture? I'm interested.